When you’re ready to self-publish your mystery or thriller, it’s important to choose your cover art wisely. Your book cover is your ultimate point-of-purchase sales pitch for your book, so you want to be sure it appeals to and entices your potential readers! Typical mystery/thriller genre covers often feature blood splatter, magnifying glasses, dense fog, and gothic lettering. 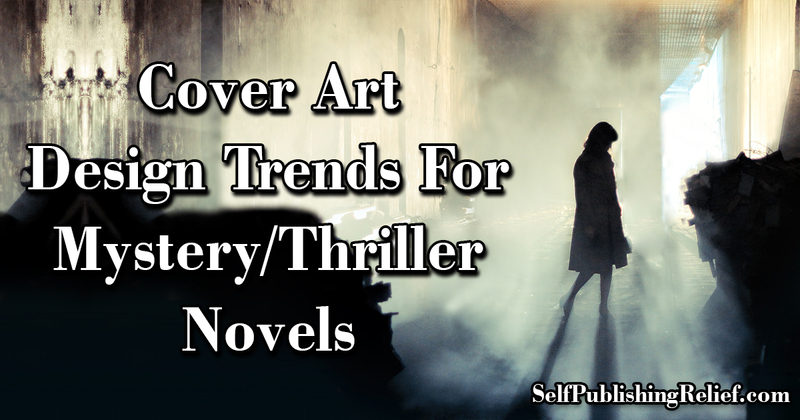 But the cover designers at Self-Publishing Relief know that there has been a quiet revolution in cover designs for mystery and thriller books. For example, many book covers subscribe to the teal-and-orange or the tungsten color palettes. These color schemes are used in most major blockbuster films and posters and has spilled over into the world of book cover design. 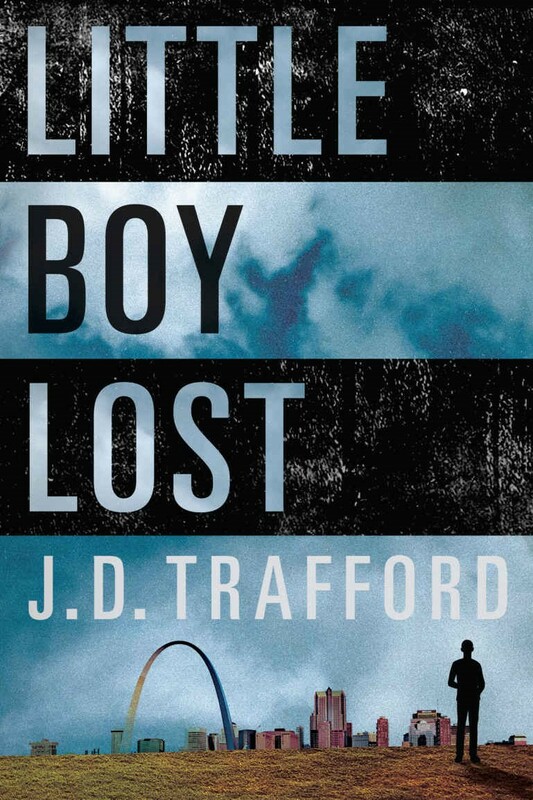 Here’s a look at the current mystery/thriller trends in cover art design. A modernistic design is one of the best ways to catch eyes and make an impression on potential readers. 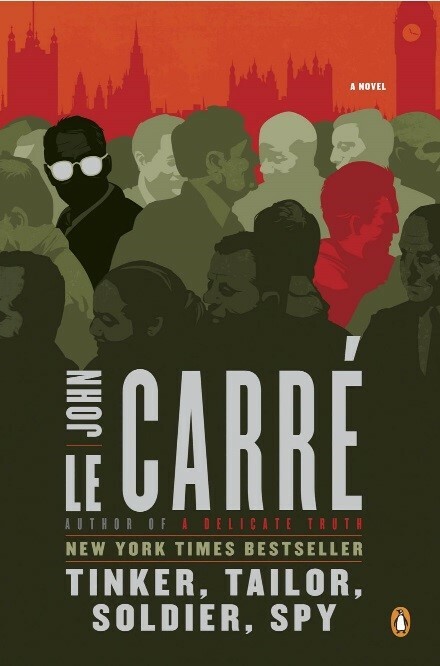 Take the cover art for a recent edition of John le Carré’s Tinker, Tailor, Soldier, Spy, a New York Times Bestseller. It features a bold, sans serif font for the title, and simple but effective artwork—and a fantastic contrast of deep reds combined with the light to medium to dark greens of the people passing by. Creating a stark contrast between the dark man with the bright white eyeglasses to the red man moving through the crowd is a great way to create visual intrigue and interest. Now this may seem like an obvious one, but it’s something you’ll see exhibited on most mystery/thriller books today. Sans serif fonts like Futura, Helvetica, and Gill Sans are three of the most popular typefaces used on contemporary mysteries and thrillers. These fonts convey boldness, drama, and importance. As with color, fonts are a great way to create favorable contrast that intrigues your potential buyer and boosts sales. As in many great stories in these genres, implying or withholding information builds suspense. You can achieve this effect by using an outline or portrait of a character, scene, or notable item from your book. Simple, bold covers can effectively grab attention and stand out from the other books on a shelf. While some thrillers and mysteries use the “less is more” approach, others offer rich imagery to create the world the reader is about to enter. Highly detailed covers can be eye-catching and memorable. Many of these covers use glossy, embossed text and imagery to convey a sense of unsettling wonder. 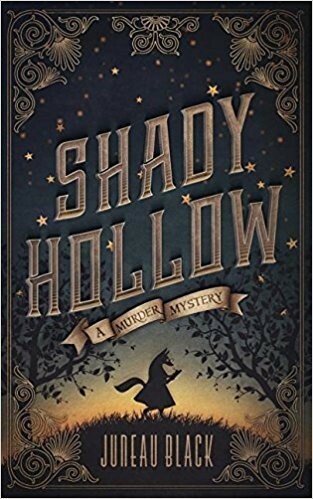 A great way to drop potential readers into the world of your story before they read a single word is with an atmospheric cover design featuring monochromatic, dark, muted colors. 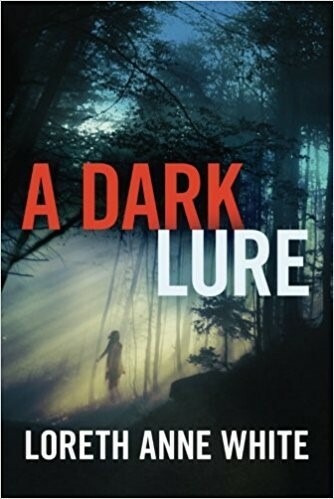 Eerie landscapes, obscured images, and stark contrast is another way thriller and mystery books attract potential readers. The more your cover looks like a scene from a film, the more likely your book will be bought by your target fan base. 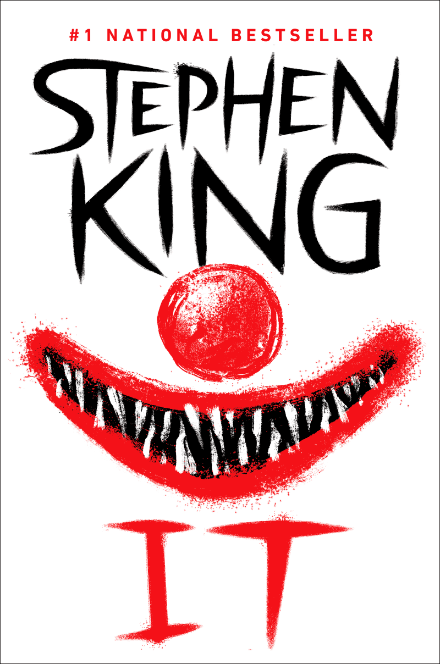 Question: What are some of your favorite mystery/thriller/horror covers?